I’m going to the Oregon State Hospital Museum. “Maybe I’m Crazy (lyrics from “Crazy,” by Gnarls Barkley) and “All She Wants To Do Is Dance,” by Don Henley, are playing on the radio. That means they know I am coming since I was out of my head at the time I was in Oregon State Hospital and when I got out I became a dancer. The air is thick and warm. An autumn day set aside for dreamers. But not just a day for dreamers of romance and travel to unique and beautiful places, but a day set aside for dreams of strange configurations, distorted faces, and hand and eye contact like I had with the inmates in the OSH. Somehow I couldn’t shake the images, especially the day before my interview with Dr. Mickey Stellavato at the Museum. It wasn’t a typical day when I signed myself into the Oregon State Hospital in 1971. The relentless wind tossed my step dad’s car around in triangles until it almost landed on its top. I knew then that I wasn’t suppose to be in “Salem” (another word I used to describe the asylum). I felt no one could penetrate this brain of mine. Yet, they sedated me. But enough of the nightmares and hellish ghost filled memories of the past. It is gone from me now. I am not here to relive my past, but to record it and give information about my stay in the Oregon State Hospital to be put in its Archives to help others. My husband is taking pictures of me at the door. I wear my deodorant and am calm, cool, and collected. The interviewer is friendly and thorough. Seems like I don’t forget any of my experiences in “Salem.” It is such a mind shocker. It’s pouring outside. My husband stands outside the recording booth. He is my champion. I am so grateful that I am able to climb and conquer another mountain. As we leave, I see a large steel cooking pot and huge ladles, possibly the ones where I stood next to as I worked in the kitchen on the upper level of the institution. There are pictures of patients, paintings, and other memorabilia. I don’t know what gets into me. All of a sudden I get the urge to bite the ears off of 20,000 chocolate bunny rabbits and devour them all, and I don’t normally eat chocolate! Sherry Joiner is the author of Sherry Goes Sane: Living A Life With Schizo-Affective Disorder. She lives with bipolar and schizo-affective disorders. She is active as a speaker with NAMI in their In Our Own Voices programs, and also speaks at psych wards. To learn more about Sherry Goes Sane, see Sherry Goes Sane. 2/19/19-3/5/19 Sherry exhibits her paintings at the Cerimon House Main Gallery, for Her Art, A Collection of Women’s Art Exhibit. 2/3/19-2/13/19 Sherry creates Soul Boxes for Soul Box Exhibit- Gallery of Souls Exhibit, and displays her paintings at Cerimon House, 5131 NE 33rd Portland, Oregon 97111. 1/31/19-4/30/19 Sherry displays her paintings at Oak Lodge Water Services in Oak Grove, Monday-Friday 8-5 pm. 9/29/2018 Sherry exhibits her paintings in the North Clackamas Arts Guild Juried Show, “Twenty five years of Excellence,” at King of Kings Lutheran Church, 5501 SE Thiessen Road,Milwaukie, Oregon 97267, 10 AM- 5 PM. Admission free. 8/1-11/1/2018 Sherry displays her paintings at Oak Lodge Water Services, 14496 SE River Rd., Oak Grove, Oregon 97222, Mon-Fri 8 am- 5 pm. 5/26-5/28/18 Sherry enters her paintings at Multnomah County Fair, Oaks Amusement Park, 7100 SE Oaks Park Way, Portland, Oregon 97202, Sat and Sun 11 am. – 8 pm. and Monday 11 am. – 7 pm. 4/21/18 Saturday, Sherry exhibits her artwork at North Clackamas Arts Guild 25th Anniversary Juried Show, Moonlight Coffeehouse, 1517 SE Mc Loughlin Blvd. Suite 1, Milwaukie, Oregon, 5pm-8pm. 12/15/17- Sherry gives a reading at the Ant Farm Cafe, Sandy, Oregon, 6-9 pm. 10/6/17-10/30/17- First Friday in Sandy, the Ant Farm Cafe, 39140 Proctor Blvd. Sandy, Oregon, 5 pm- showing Sherry Goes Sane books and Sherry’s artwork. During the month of October showing Sherry’s art work at the Ant Farm Cafe, Tues-Fri. 7 am-3 pm., Sat. and Sun. 8 am.- 3 pm. 8/5/17 Saturday- Sherry displays her artwork in North Clackamas Arts Guild Art Show at King of Kings Lutheran Church, 5501 SE Thiessen, Milwaukie, 10 am- 4 pm. 7/9-7/27/17 Sherry enters her paintings at Oregon Society of Artists Extreme Size Art Exhibit at 2185 SW Park Place, Portland, Oregon, 1-4 pm everyday except Sundays and Holidays. Reception- July 9, 1-4 pm. 7/6/17 ‘Americana’ First Friday in Milwaukie at the Key Bank Booth, Sherry signs books and offers a chance to take picture with her painting- ‘Return to American Gothic,’ 5-9 pm. 6/20/17 NAMI IOOV Presenter at All Saint’s Episcopal Church Family2Family Class, 4033 SE Woodstock, Portland, Oregon, 6pm. 6/2/17 5-7 pm. Reading on Sherry Goes Sane at First Friday Milwaukie, Writer’s Event, Key Bank 10888 SE Main SE Monroe, Milwaukie, Oregon, Hosted by NAMI Clackamas. 2/22/17 Sherry speaks at the ‘Evening With An Expert’ Speaker-Sherry Goes Sane, Everything You Wanted to Know about Schizoaffective Disorder at Providence Glisan Hospital, Social Room, 6-8 pm. 11/22/16 NAMI IOOV Speaker for Psychology Class at Reed College, Portland, Oregon. 10/9-10/28/16 Sherry exhibits at- Oregon Society of Artists, 2185 SW Park Place, Portland, Oregon, 97205 1-4 PM. closed Sundays except reception on the 9th. 7/30/16 Sherry Goes Sane Book Signing- Northwest Book Festival, Pioneer Courthouse Square, Portland, Oregon at the @WilWrite table, 12:30-2 pm. 4/20/16 AK Learning Documentary- Final Interview on Schizoaffective Disorder, with Sherry M. Joiner and Dr. Ward T. Smith, produced by Professor Art Kohn, for Cengage, a college textbook publisher. 12/28/15 Sherry gives an author presentation of ‘Schizoaffective Disorder and Sherry Goes Sane,’ to Volunteer Ombudsmans at the First Presbyterian Church, 4300 Main St. Vancouver, Washington 10:30-11:30am. 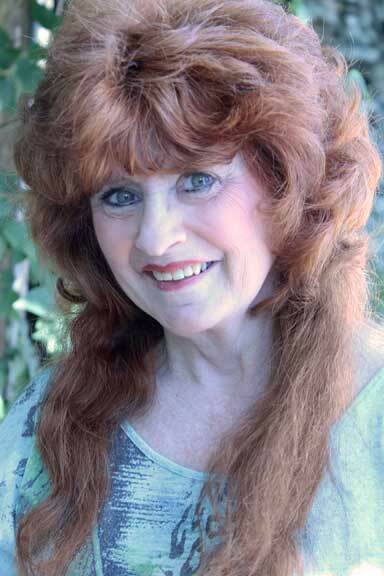 11/29/15 Sherry is speaker of ‘Living A Life With Schizoaffective Disorder, Sherry Goes Sane,’ to Humanists of Greater Portland at Friendly House Community Center, 1737 NW 26th Avenue, Portland, Oregon. 10 AM. 11/14/15 Sherry gives a special lunch time presentation of ‘Living A Life With Schizoaffective Disorer, Sherry Goes Sane’ – NAMI Oregon Annual Conference- Cascadia Ballroom, Village Green Resort, Cottage Grove, Oregon. Noon- 1pm. 10/13/15 Sherry is interviewed about Schizoaffective Disorder, by Jessica Pham, MS. Occupational Therapy Candidate and Megan Moreno, San Jose State University, California. 10/12/15 IOOV Speaker to University of Portland, Social Work Class, Portland, Oregon. 7/27/15 Sherry has a radio interview with KBOO Community Radio- 90.7 FM at 11 AM. Portland, Oregon. Broadcasts on air to Vancouver, WA., Corvallis, Hood River, and outlying areas. 5/1815 Sherry gives an Author Presentation on Schizoaffective Disorder and Sherry Goes Sane, Buchan Bldg. Unitarian Church, Portland, Oregon. 7pm-8pm. 4/16/15 IOOV Speaker to SAIF Corporation, Portland, Oregon. 2/12/15 Sherry talks with the State Legislatures in Salem, Oregon about mental health. 12/02/15 Sherry gives a Headline Keynote Address to NAMI Lane County’s Holiday Dinner, Lane Community Convention Center, Eugene, Oregon. 10/2/14 Sherry has a radio interview with Chrissie Hodges, ‘The Stigma of Mental Illness Radio Show,’ www.cosmicbroadcasting at 2pm. 9/25/14 Sherry’s author interview with Dr. Mickey Stellavato at the Oregon State Hospital Museum, Salem Oregon 2pm. 8/21/14 Sherry’s author interview with Bp Magazine by Julie A. Fast on the Bp Magazine blog. 4/21/2014, 7pm – Sherry’s reading at Bloomsbury Books, 290 E Main, Ashland, OR. 5/03/2014 Sherry’s author talk at NorthStar Clubhouse 5600 NE Glisan St., Portland Oregon from 1pm-2pm.